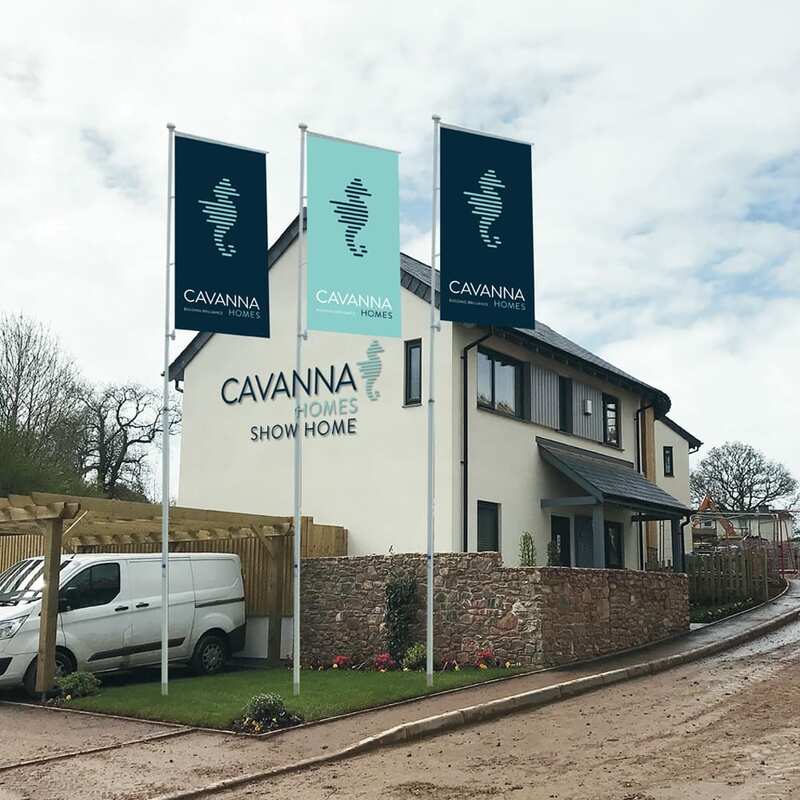 As one of the region’s leading independent housebuilders, Cavanna Homes has a huge presence throughout the South West. When we were tasked with reworking Cavanna’s branding, we knew it was going to involve much more than a few fancy drawings! The big challenge was how we evolved and modernised the much-loved seahorse logo, “Trigger”. The revised identity also needed to look just as good in a very – very! - diverse range of settings and sizes. 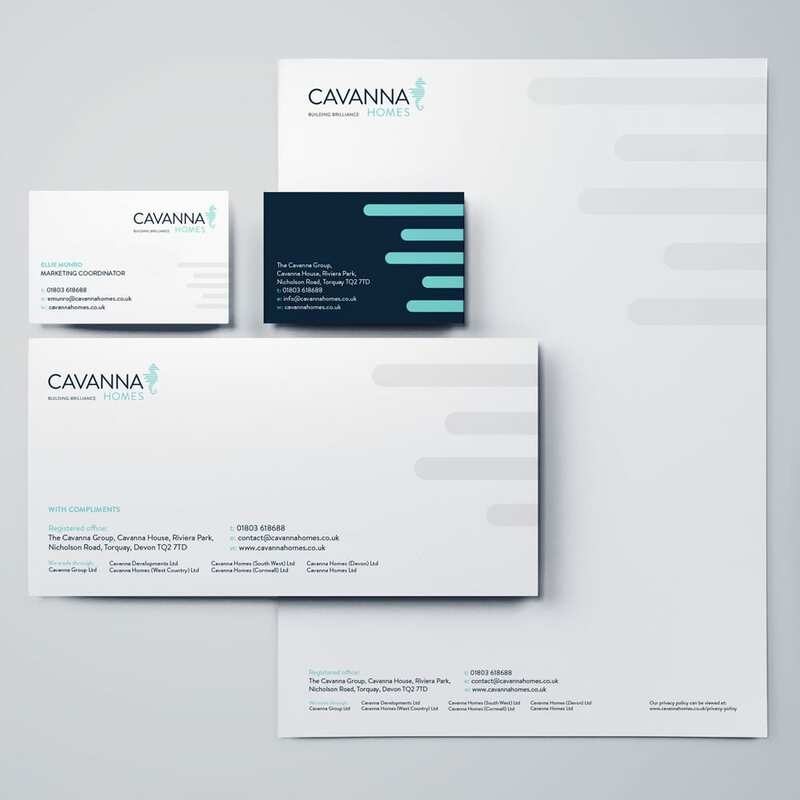 The ‘layered seahorse’ logo we developed, and the colour palette that went with it, was quickly approved by Cavanna. Our design seamlessly updated and unified our client’s entire brand and, most importantly, it looked great wherever it popped up – whether printed on paper, plastic, concrete or wood! 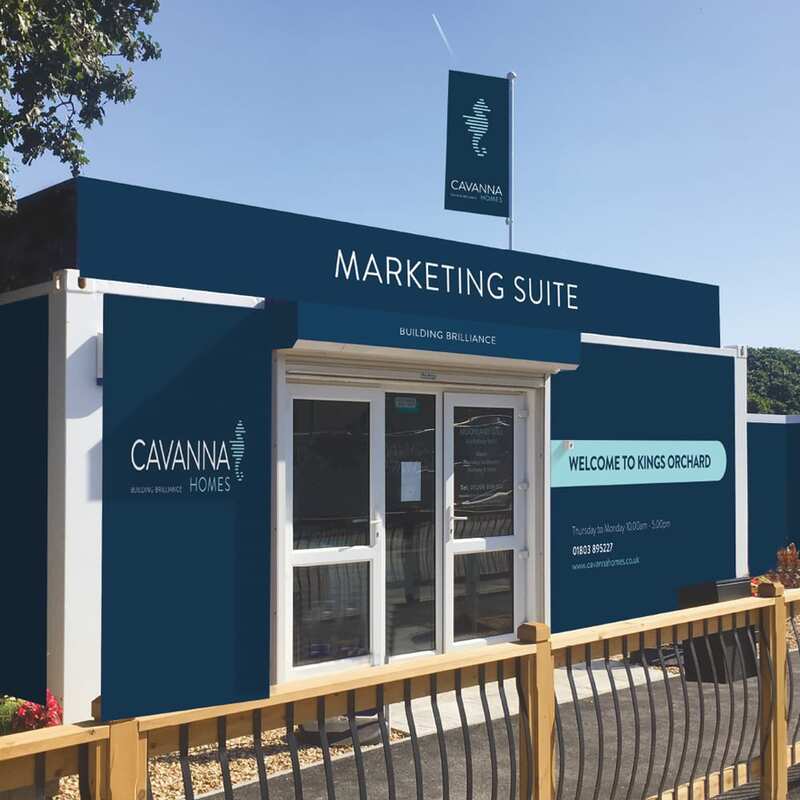 Our talented team called on all their experience to create a design that worked equally well on signs, brochures, flags, stationery and in Cavanna’s marketing suites. And most impressive of all, whilst the new identity was being unveiled to the whole company in one room, the rest of Head Office was being rebranded so that as staff left emerged with new uniforms, hard hats, PPE & a goody bag they were greeted with the new identity everywhere they turned.